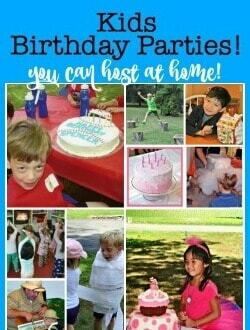 Does your tween want to invite some friends over for a birthday celebration- possibly even a sleepover party (most of our kids birthday parties end up being sleepovers! )- and you are wondering how you are going to entertain all of these kids? 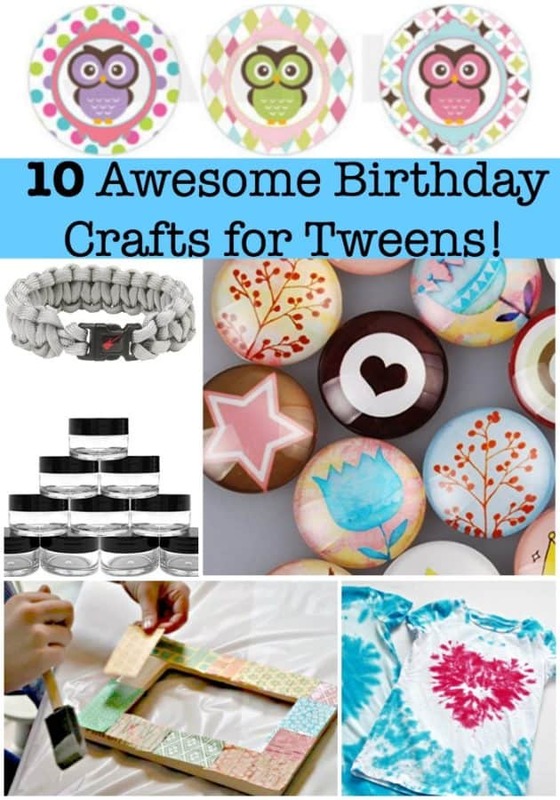 Here are 10 awesome birthday party crafts for tweens! 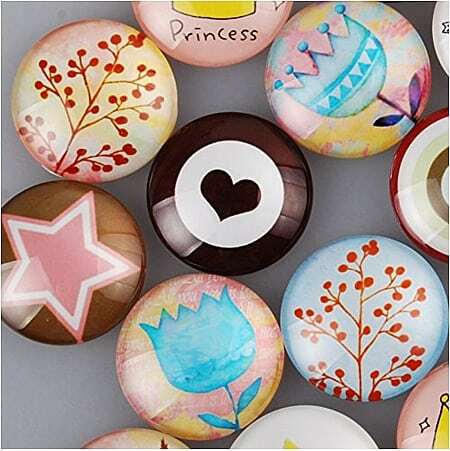 These beautiful 25mm glass cabochon pieces This is an affiliate link: MomOf6 earns a commission if you purchase, at no additional cost to you. can be glued This is an affiliate link: MomOf6 earns a commission if you purchase, at no additional cost to you. to a blank pendant This is an affiliate link: MomOf6 earns a commission if you purchase, at no additional cost to you. and strung onto a colorful wax cord with a clasp This is an affiliate link: MomOf6 earns a commission if you purchase, at no additional cost to you. to create stunning necklaces easily! The pieces can also be attached to a keyring This is an affiliate link: MomOf6 earns a commission if you purchase, at no additional cost to you. which kids love to hang from backpack zippers! One of my favorite birthday craft ideas is to create personalized pillows! You can do this directly on the pillow This is an affiliate link: MomOf6 earns a commission if you purchase, at no additional cost to you. itself, or you can buy pillowcases This is an affiliate link: MomOf6 earns a commission if you purchase, at no additional cost to you. that the guests can place over their existing pillows. Just be sure to place a piece of cardboard inside of the pillowcase before using the tie-dye spray paint This is an affiliate link: MomOf6 earns a commission if you purchase, at no additional cost to you. over your stick on letters This is an affiliate link: MomOf6 earns a commission if you purchase, at no additional cost to you. so it won't bleed through with backward letting on the other side! 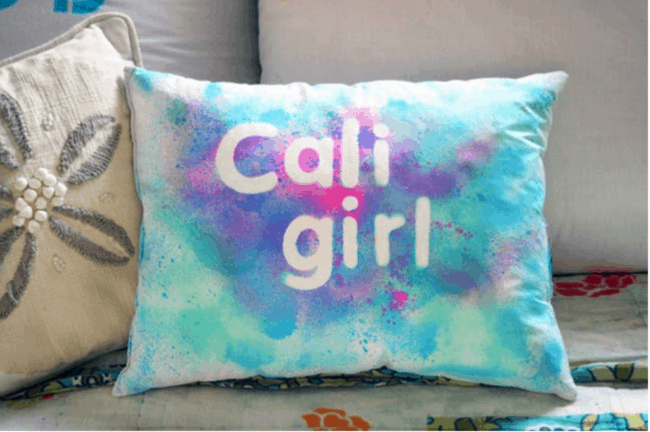 The “Cali Girl” pillow above can be found over on Brit+Co for full step-by-step instructions! 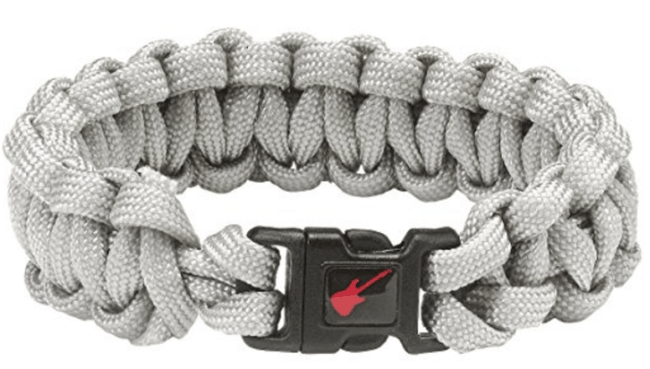 Tweens will love making these paracord bracelets as much as they love wearing them! 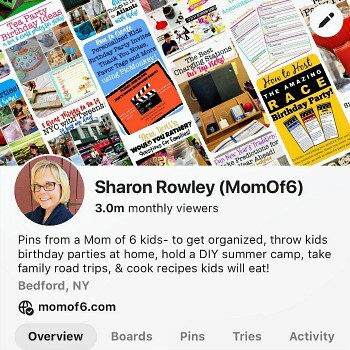 And it's so easy to create birthday party crafts when everything you need comes in a kit This is an affiliate link: MomOf6 earns a commission if you purchase, at no additional cost to you. ! Once tweens hit the middle school years- chances are they have lockers. Lockers they like to decorate! Here's a fun craft for bottlecap locker magnets- check out the step-by-step instructions over at fizzypops! 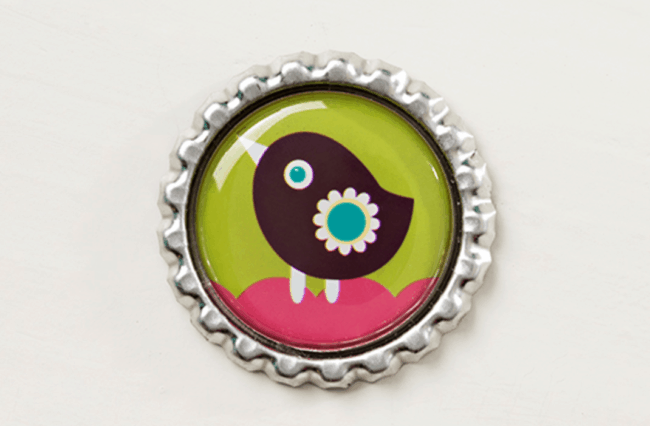 Etsy has an amazing selection of bottle cap images This is an affiliate link: MomOf6 earns a commission if you purchase, at no additional cost to you. that you can download for just a few dollars each! 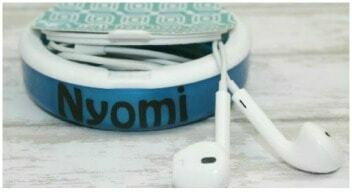 Tweens tend to make a tangled mess of their earbuds all of the time- and this fun craft idea from Penny Pinchin' Mom turns a recycled mint container This is an affiliate link: MomOf6 earns a commission if you purchase, at no additional cost to you. into the perfect earbud case! We threw a Spa Party for our daughter a few years back where we had guests make their own lip gloss and foot scrub! For the lip gloss, use craft sticks This is an affiliate link: MomOf6 earns a commission if you purchase, at no additional cost to you. to place a dollop of Vaseline This is an affiliate link: MomOf6 earns a commission if you purchase, at no additional cost to you. into a small cup ( disposable bathroom cups This is an affiliate link: MomOf6 earns a commission if you purchase, at no additional cost to you. 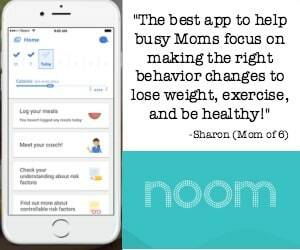 work great for this), add a 1/2 teaspoon of a sugar-free Kool-Aid mix This is an affiliate link: MomOf6 earns a commission if you purchase, at no additional cost to you. (allow them to choose from cherry, grape, strawberry, etc.). Mix well and apply to lips. It tastes yummy and provides a light color. You can use small acrylic jars This is an affiliate link: MomOf6 earns a commission if you purchase, at no additional cost to you. for the girls to take home their lip gloss as a party favor. 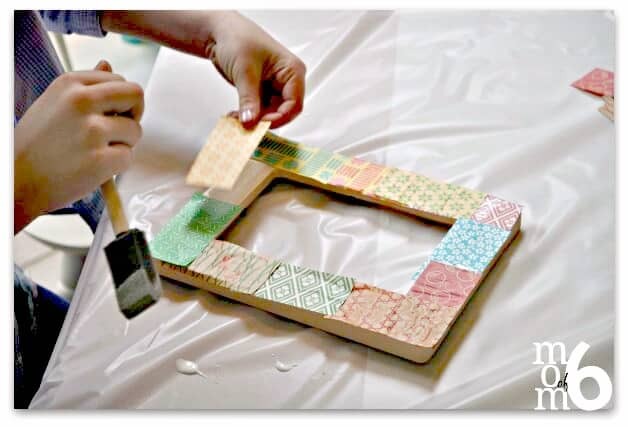 We also held a Tea and Crafts Party one year where we created these sweet decoupage picture frames! I had pre-cut squares of patterned scrapbook paper This is an affiliate link: MomOf6 earns a commission if you purchase, at no additional cost to you. , and the kids glued them using Mod Podg This is an affiliate link: MomOf6 earns a commission if you purchase, at no additional cost to you. e onto wooden picture frames This is an affiliate link: MomOf6 earns a commission if you purchase, at no additional cost to you. , wrapping the paper around the edges of the frame. We then gave a final coat of ModPodge to the entire covered frame, allowing it to dry before adding a picture of the party guests that I took when they party began and printed on my home printer as we worked on the frames. It served as the perfect craft and party favor! Another awesome birthday party craft idea is to make tie-dye t-shirts, which we did at one of our Tie-Dye Birthday Parties! 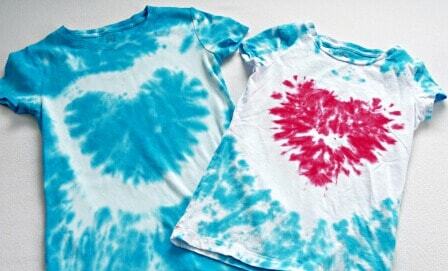 I know the idea of tie-dye can be intimidating- but it truly is easy- and this video can show you exactly how to create a heart tie-dye tee! Soap making is another one of our fun birthday craft ideas! And this bar soap contains just a hint of an exfoliating pumice stone powder- making it a unique party craft and favor! 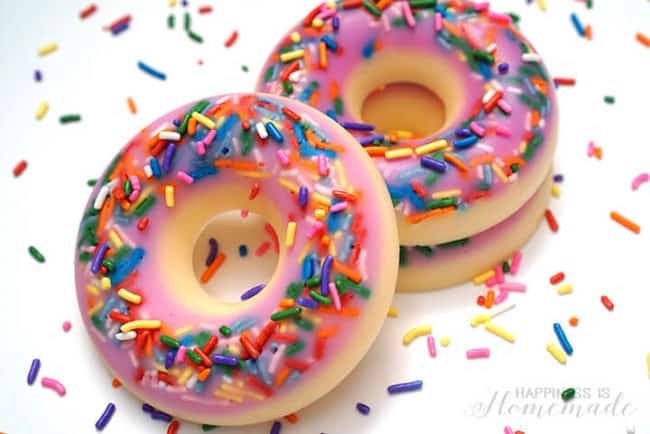 Inspired by the adorable donut scented soap from Happiness is Homemade! Be careful when melting your goat's milk soap base This is an affiliate link: MomOf6 earns a commission if you purchase, at no additional cost to you. – I do it in the microwave in 30-second intervals- stirring in between until it melts. Then I simply add a few drops of fragrance oil This is an affiliate link: MomOf6 earns a commission if you purchase, at no additional cost to you. , a 1/2 teaspoon of ground pumice stone This is an affiliate link: MomOf6 earns a commission if you purchase, at no additional cost to you. , and stir until well mixed. Pour it into the individual soap molds This is an affiliate link: MomOf6 earns a commission if you purchase, at no additional cost to you. and allow to cool before removing from the molds. Okay- I might be saving the best idea for last here…. I think these melty bead bowls are just so awesome! This idea also comes from Happiness is Homemade. 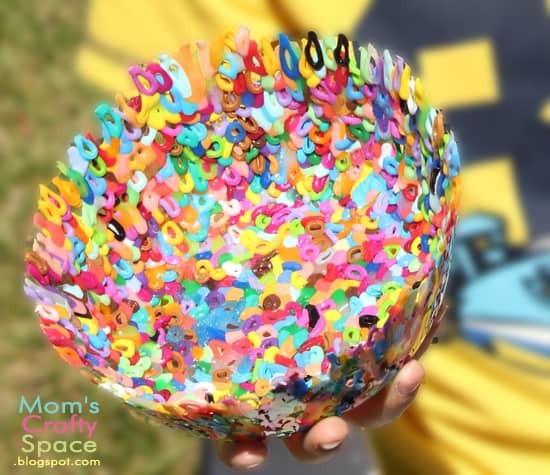 It's as easy as spraying a pyrex bowl with cooking spray, adding the Perler beads This is an affiliate link: MomOf6 earns a commission if you purchase, at no additional cost to you. , and melting them in the oven! Kids will love watching the beads transform through the oven door! 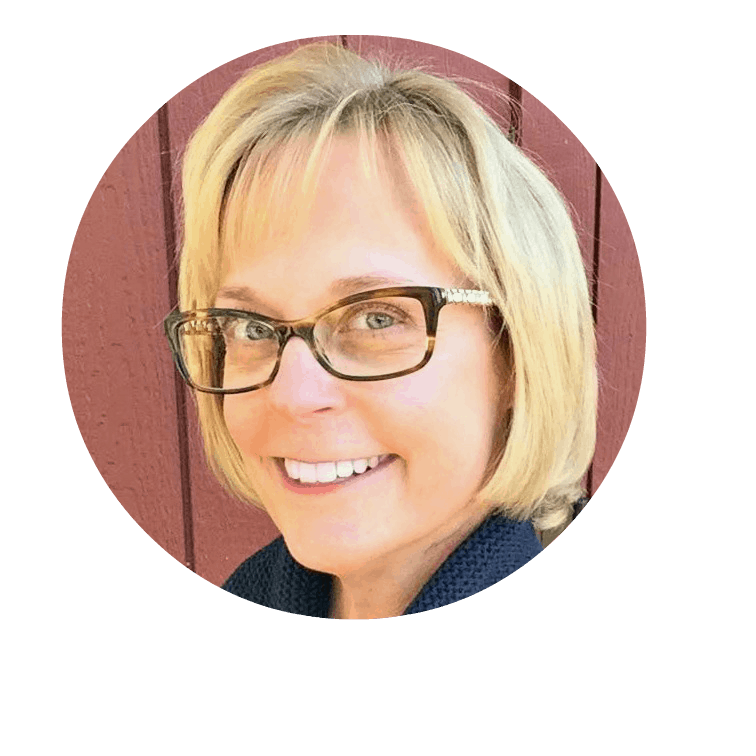 Each week I send out a fantastic newsletter with ideas to help you get organized, have fun as a family, and celebrate the season! 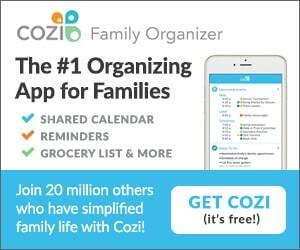 Perfect for busy Moms just like you! 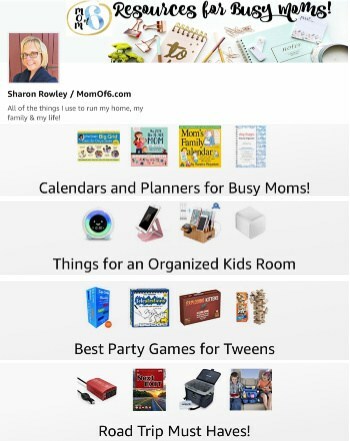 Plus- sign up now and you'll get free instant access to my entire Printables Library- filled with printable party games and more!